Ben Kepes saw Rubrik present at Cloud Field Day 2 back in July of 2017. Here he talks about Rubrik’s newest product, Radar, designed to protect customers against ransomware. Ben has been continuously impressed with Rubrik’s development and expects them to IPO and become a major player in the industry in the near future. Ben Kepes breaks down the news the Rubrik is acquiring Datos IO. This helps Rubrik add backup and recovery for NoSQL databases to their already impressive data management portfolio. Ben Kepes takes a look at the history of CloudStack, which was acquired by Accelerite and renamed to Rovius Cloud. Even though OpenStack appeared to be an ersatz competitor to CloudStack, but lagged in adoption due to investors and vendor adoption. Ben was impressed that Rovius remains server, storage, an hypervisor agnostic, allowing organizations to federate on-premises resources with public clouds including AWS, Google Cloud Platform and Microsoft Azure. After Cloud Field Day, Ben Kepes reviews ServiceNow, a company that has come along way from its San Diego Roots. Traditionally, ServiceNow has been seen as an IT helpdesk system vendor, but now, ServiceNow has begun pursuing its aims to become a vendor that offers tools to enable organizations to digitize their more general enterprise workflows. Ben believes that ServiceNow is in a position where they are large enough to invest resources in this project, but small enough to remain agile, a combination that sets them up for a bright future. 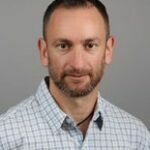 As part of his series comparing and contrasting NetApp and Rubrik, Ben Kepes talks about Rubrik’s meteoric rise to fame from backup vendor startup to data management powerhouse. Ben believes that Rubrik “has amassed cash, a stellar crew and, perhaps most importantly, a unique point in time when change is ramping up.” This has led Rubrik to a position where they can build something of real substance, and Ben looks forward to what they have in store. Ben Kepes writes about the differences he saw between NetApp and Rubrik at Cloud Field Day. Ben notes that NetApp has long had financial pressure not to innovate, even if that innovation helps NetApp ensure its long term survival. Now, however, with their acquisition of SolidFire and their appointment of Mark Bregman as CTO, Ben sees NetApp as moving towards a focus on innovation. This is a move in the right direction, but NetApp still might be falling behind its innovative competitors. Ben Kepes is looking forward to a different kind of conference, Cloud Field Day! Here, he explains the event, goes over each presenter, and gives his opinion on what they have been up to in the cloud field.